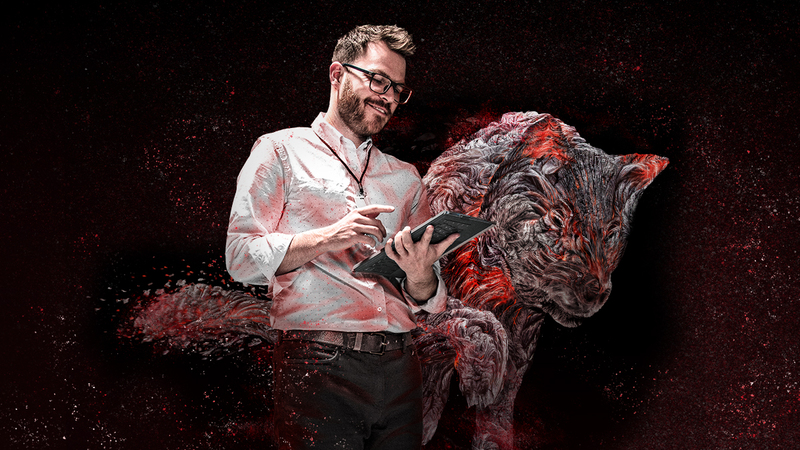 Guest blog by John Agcaoili, producer, photographer, cinematographer and VFX Artist at Hangar X, a new Silicon Valley digital media agency established by a team of video enthusiasts known for creating visual solutions for Vice, Facebook, and ESPN. My name is John Agcaoili, I’m a co-founder and producer at Hangar X — we’re one of Silicon Valley’s newest digital agencies and creative studios. I started out my career working in game development. Recently aside from launching Hangar X, I’ve been crafting commercials for various fashion and beauty products companies, I’ve been a speaker at Adobe HQ, and I filmed and photographed the documentary and photographic exhibit Tatau: Marks of Polynesia. If you’re looking for gifts your favorite creative person will love, I hope this gift guide will give you some useful ideas. This list includes tools any creative studio pro will appreciate — film, video and audio tools I’ve either received as gifts or wish I had — and each one now plays a central role in my creative workflow. If your gift recipient already has some of these covered, I hope this will spark other gift ideas for creative toys and tools! Looking for a gift that’ll launch your favorite videographer to new horizons in on-location creativity in one fell swoop? 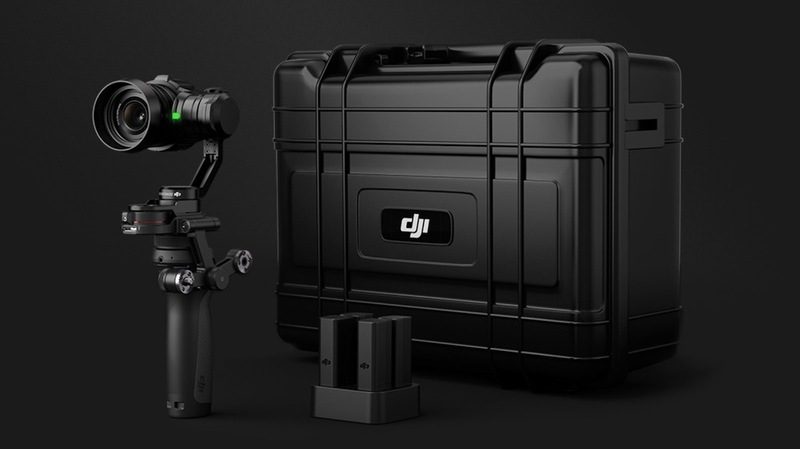 This is one great kit combining DJI’s Osmo RAW camera (lossless 4K videos in CinemaDNG RAW at 30fps with an average bitrate of 1.7 Gbps), handle, 3-axis gimbal Wi-Fi video link and battery charger. I travel a lot, so convenience and portability is on the top of my priority list when I’m choosing gear. But I don’t want to sacrifice quality. The DJI Osmo RAW is an awesome piece of kit for any digital content creator. It’s portable, it’s convenient to use, it’s easy to operate, and you have the flexibility of editing raw files. This can fit virtually anywhere and also doesn’t bring any attention to the camera operator, compared to using larger gimbal systems. 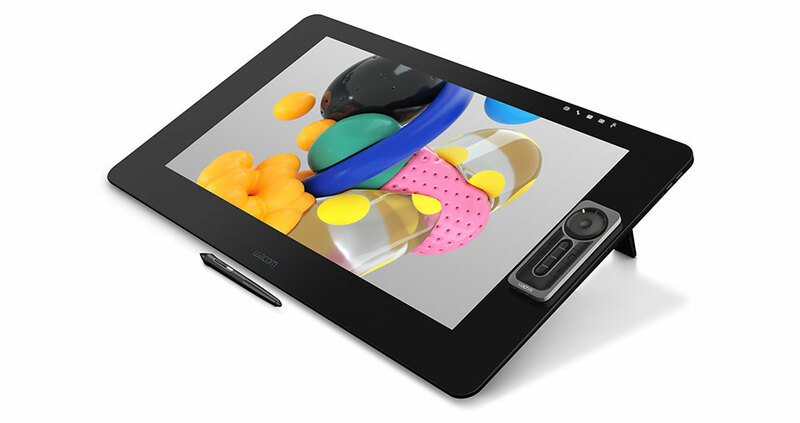 I’ve been using Wacom tablets for years now, and it’s the perfect gift for a serious studio-arts student or a working studio artist who needs an upgrade. This is one of their latest versions — I have the 24” model but you can also choose 16” or 32” sizes. 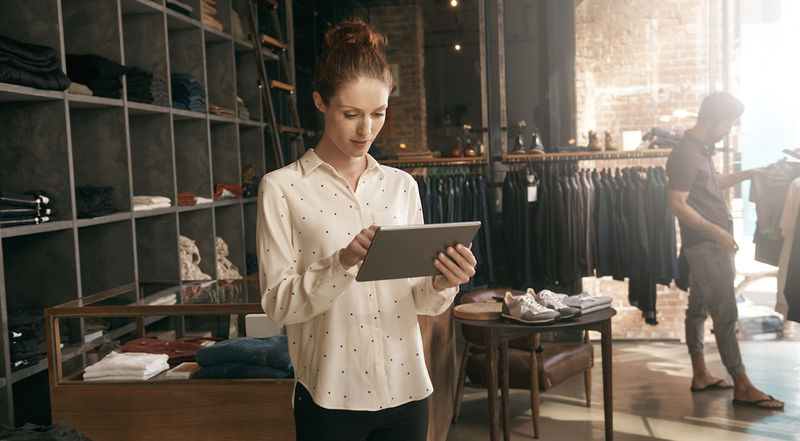 These have 4K resolution and excellent color accuracy (99% of Adobe RGB), and use an etched glass surface designed to feel like a pen on paper, which helps an artist a lot as touch and feel can really impact how we translate the image in our minds through arm and hand and onto paper — or screen. Wacom’s creative pen now senses 8,192 levels of pressure — 4 times more pressure sensitive than previous models — and its tilt recognition is so advanced now that every pen movement and gesture is sensed and replicated perfectly. And the ExpressKey remote now has 17 programmable buttons to speed up using the tools I need the most. It’s a must-have for every person who works on Adobe suite. Here at the studio we depend both on Mac and PC computing platforms. With a lot of the video work that comes through these doors, we’ve been working more often on the PC platform lately — so we’re building custom PCs to meet the intensive demands of the camera systems that we use. 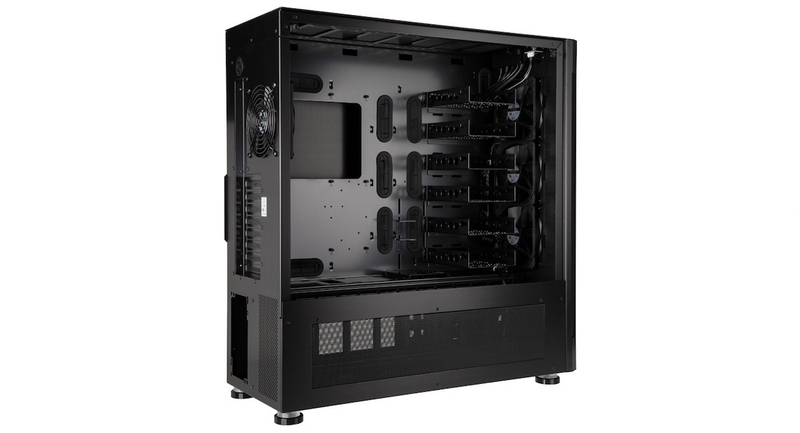 If the studio rat in your life is making a list of PC components to build a new system, I highly recommend surprising them with this PC case to contain them — not only due to its build and quality, but the number of 3.5″ hard drives that can be installed at once. This thing can fit up to six BarraCuda hard drives and/or SSDs! That gives our studio plenty of onboard capacity and/or speed for manipulating the densest media projects. Detail is very important to us at Hangar X. That means we need monitors that can produce accurate color in detail. We chose this 4K monitor for its high dynamic range gamma support, and its self calibration sensor which keeps everything hassle free. If you’re looking for a gift to really wow your loved one and up their workstation experience, this could be it. Obviously when a creator is working on a client’s radio spot, the audio has to do all the work so it’d better sound solid, credible and stunning. 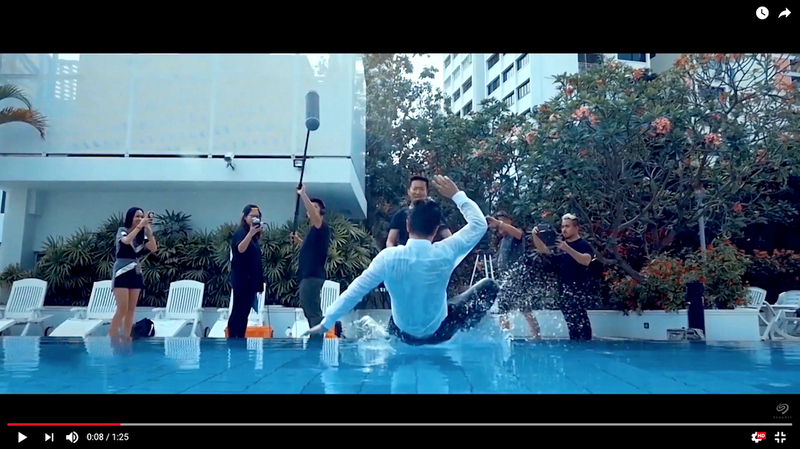 But every filmmaker and video pro also knows how important audio is for any film, TV episode or major-brand TV spot — sound can make or break an audience’s perception of what’s on screen. So when you’re working on sound, you need to be able to clearly hear each element’s frequency response and resonant qualities and their interaction in the larger mix, and to ensure dialogue or voiceover sit in the mix while having sufficient presence and plenty of clarity. Especially when working on film and commercial audio in a studio office environment, a more-than-decent set of mixing headphones is a critically important tool. Even in a dedicated edit or mix room with studio monitors, good headphones come in handy for checking your audio details. That’s why a good or great set of headphones is always a perfect gift for someone working at a creative studio. There are plenty of good options — this Audio-Technica set and this Sennheiser are some of the better professional quality you’ll find for the price. Pros on a smaller budget also still swear by the classic Sony standby. 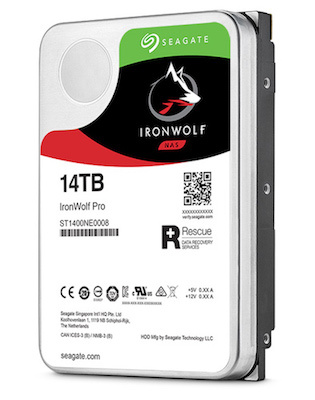 So now that your gift recipient has several Seagate 14TB IronWolf drives designed from the ground up for the NAS environment… they’ll need a good NAS to put them in. 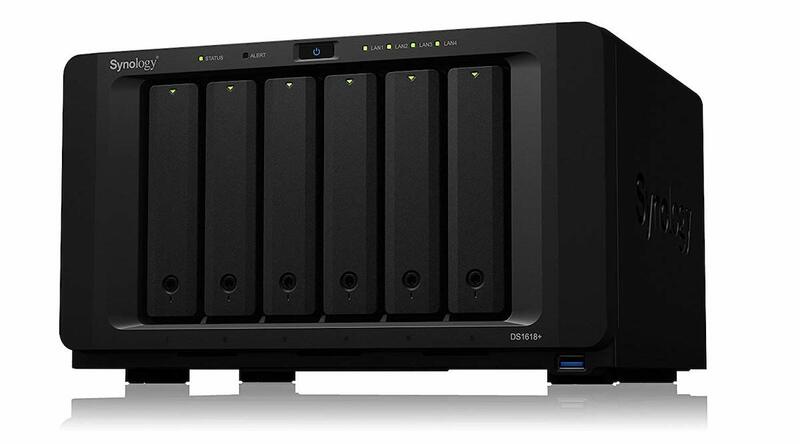 The Synology DiskStation not only helps organize our data in a centralized working library, and de-clutter all of the drives that eventually end up on our work desks, it’s also a great solution for our networking needs. Now the whole creative team can collaborate so much more easily — working together whether we’re all in the office at separate workstations, or even when we’re offsite and on the road — to create, develop and edit creative files and sharing the load across entire projects. It has done us well here at the studio. For three years my team and I traveled the Pacific on a documentary assignment. 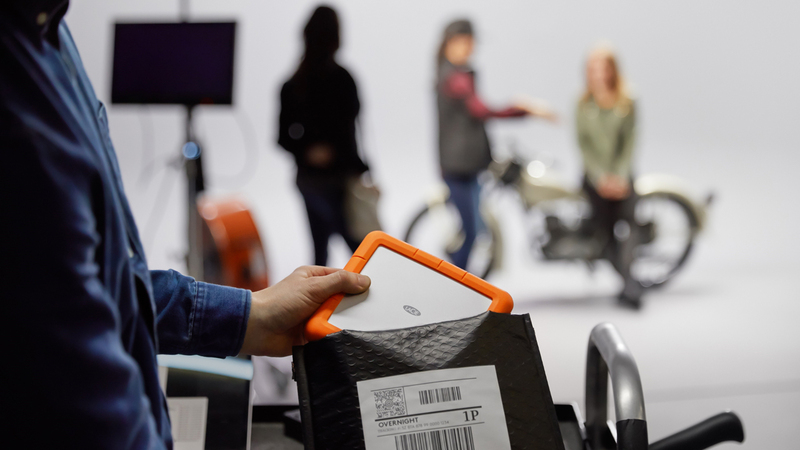 While on this project, we used LaCie Rugged portable drives — of course, because they’re the standard for professional photo shoots, film sets, and in-the-field field documentary projects. These drives made capture and transport of our video and audio simple. Their capacities are huge for a portable drive so we could manage loads of media easily, their iconic orange bumpers and IP54-rated resistance to the elements make sure they can handle the road reliably. And they not only lasted our entire assignment — we’re still using the same drives as of this day at our offices. 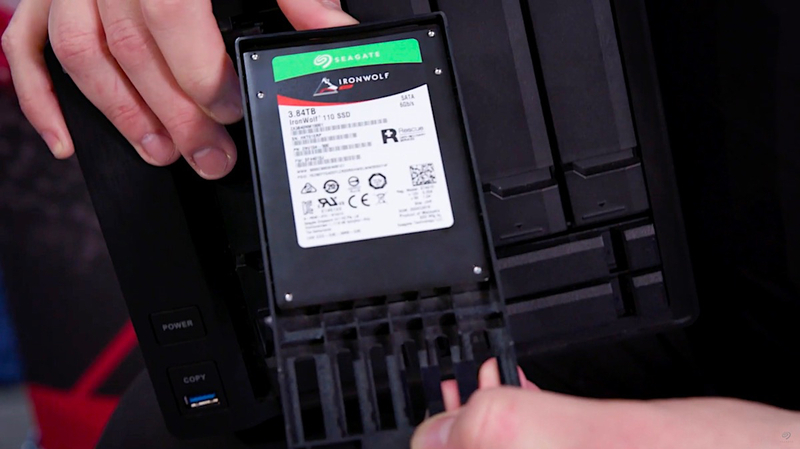 What we really love about these drives is that they come in a variety of options to fit your needs. You can go for speed, capacity, or BOTH! Well… a studio can never have enough C-stands. 😉 So many ways to adjust the lighting gear, so few C-stands — your favorite creative pro will thank you! 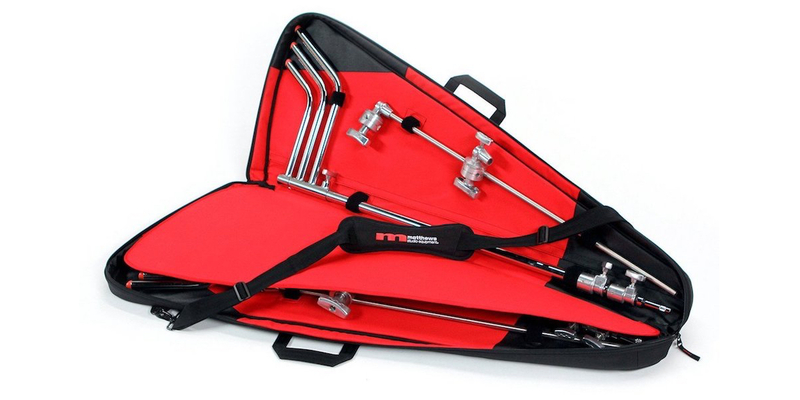 Or — if you’re sure your studio friend already has enough C-stands, but complains about awkwardly lugging them around for traveling productions, surprise them with this C-Stand Shoulder Kit Bag! Whether shooting a local indie doc or major-brand TV spot on video, or capturing voiceover, string quartets or sfx audio, whether in your studio or in the field — you can never have enough rolls of gaffer’s tape… seriously. So, for any studio pro in your life, it’ll make a great, amusing, but much needed stocking stuffer! I want to wish all you creatives out there a very Merry Christmas and Happy New Year! Continue to design, innovate, and create! 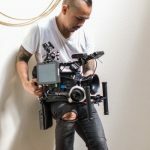 John Agcaoili is a co-founder and producer, photographer, cinematographer and VFX Artist at Hangar X, a new Silicon Valley digital media agency established by a team of video enthusiasts known for creating visual solutions for Vice, Facebook, and ESPN.